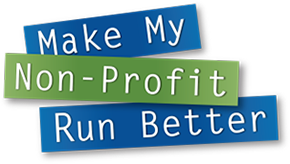 DAVENPORT, Iowa (July 20, 2015) – Registration is now open for the 10th annual Make My Non-Profit Run Better contest. RK Dixon and its sister company Premier are inviting area non-profits to enter the 10th annual Make My Non-Profit Run Better contest for a chance to win more than $57,000 in prizes. The contest provides non-profit organizations in more than 120 countries across central and eastern Iowa, northwest Illinois and southern Wisconsin the opportunity to win an office technology makeover. RK Dixon and Premier will award $57,000 to be split between 18 winners, with the grand prize winner receiving a $15,000 office technology makeover. The first runner-up will receive a multi-function printer valued at up to $10,000. The four remaining winners will receive a multi-function printer valued at up to $5,000. In addition, RK Dixon and Premier will award 10 runners-up with printers valued at up to $1,000 each. To recognize the 10th anniversary of the contest, RK Dixon and Premier are also launching the “10 Days of Giveaways” during the first phase of online voting. Each day, one registered non-profit will be awarded an 80GB Lenovo Tab 2 tablet via random drawing. “Since the inception of this program, we have donated more than $450,000 to deserving non-profits around the area. We are thrilled and humbled to celebrate 10 years of giving back to those who choose to serve their communities every day,” said Bryan Dixon, CEO of RK Dixon. The grand prize technology makeover by Premier and RK Dixon – both leading providers of copiers, printers, IT services, managed print services and pure drinking water systems – may include, but is not limited to: a black-and-white copier, a color copier, a printer, multifunction systems, IT services and water purification units. Last year’s Make My Non-Profit Run Better contest awarded St. Mark’s Lutheran Church in Washington, Ill. a $15,000 office technology makeover. The Iowa Arboretum, based in Madrid, Iowa, was named the runner-up, and received a $10,000 multi-function printer. This year, RK Dixon and Premier are inviting all 501(c)(3) non-profit organizations in central and eastern Iowa, northwest Illinois and the southern tip of Wisconsin to enter the Make My Non-Profit Run Better contest at www.MMNPRB.com. Registration for the contest is now open and will close at 5 p.m. on August 14. On Aug. 24, RK Dixon and Premier will then ask the public to go online and vote for the non-profit they think has the biggest need for an office technology makeover. For more information about the contest or to receive a high-resolution contest logo, please contact Sue Hill, VP of Marketing for RK Dixon at 309.692.3300. RK Dixon and Premier are offering non-profits a chance to win the Make My Non-Profit Run Better contest. The winner will receive an office technology makeover valued at up to $15,000. To register, visit www.MMNPRB.com by August 14. It can be hard for non-profit organizations to find the funds to purchase office technology. That’s why RK Dixon and Premier are offering non-profit organizations a chance to win the Make My Non-Profit Run Better contest. The winning organization will receive an office technology makeover valued at up to $15,000. To register for the Make My Non-Profit Run Better contest, visit www.MMNPRB.com by August 14.